Robert B. Schulman | Schulman, Hershfield & Gilden, P.A. Robert B. Schulman, Managing Partner of Schulman, Hershfield & Gilden, P.A., maintains a diverse and high profile litigation and business law practice, ranging from the representation of a former Maryland State Senator against federal criminal charges, to the negotiation and resolution of complex business and real estate disputes involving commercial developments, restaurants, office buildings and racetracks, to the defense of a highly-successful financial advisor in a FINRA arbitration and the representation of numerous professionals in contentious partnership and business disputes. More recently Mr. Schulman has represented real estate developers in all phases of the development process. 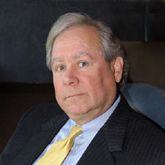 He appears in state and federal courts across Maryland and neighboring jurisdictions in cases involving white-collar criminal defense, employment litigation, commercial law, real estate law and complex civil litigation, and is renowned for his ability to provide cogent business advice and to take charge of complex and often fragile negotiations on short notice. Before entering private practice, Mr. Schulman began his legal career as an Attorney with the U.S. Department of Justice and Organized Crime Strike Force in 1974, and served as an Assistant United States Attorney from 1975 to 1980. Mr. Schulman also was an instructor of Criminal Law and Criminal Procedure at George Washington University from 1979-1980. Mr. Schulman enjoys taking on the challenge of serious corporate investigations of employees, board members and third parties. Mergers, Acquisitions and Sales of Corporations and Related Entities.